Did you ever want to start your own business? Would you like to be your own boss without the risks and investment of starting-up a new business? If you're looking for the right opportunity, Easycrane Franchise can be a life-changing opportunity for you. Why become a franchisee with Easycrane? Easycrane brand has been established for over 16 years and has earned a reputation of a trusted high quality supplier for all your office needs. Over the years we have developed a business that works well and produces successful results. We will provide you with all the information you need to verify our success and make an informed decision. Our training programme is designed to bring you up to speed with the most successful methods to run the business within days. With Easycrane franchise you're never alone when you're building and running your business. We assign a seasoned business coach to each franchisee from the start to ensure you get the support you need. Our experienced support team are also always available when you need them. We use robust and proven systems to run Easycrane business smoothly. As a franchisee you will get access to all the systems you need to help you build your business. We will provide you with proven marketing tools and help develop marketing plans for attracting and retaining customers. As a franchisee you will take advantage of Easycrane's buying power and get access to cost prices that are significantly lower than you would achieve independently. One of the biggest reasons to acquire Easycrane franchise is that it will help you avoid much of the risk associated with starting a brand new business. You don't need any premises with Easycrane as you can easily work from your home office. With Easycrane set up times are minimal. We don't have to create complicated infrastructure, therefore we can get you up-and-running within two days. 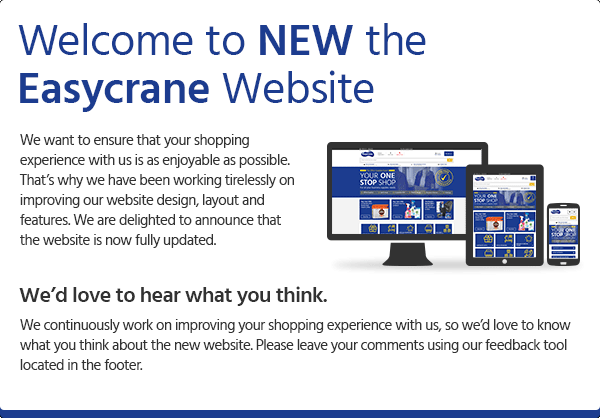 It's easy doing business with Easycrane. We have the experience and proven tools to help you run your business and take the load off your mind. Contact us on 0800 0075 566 to speak to our franchise support team and get your business started now.